How to Book Train in India through Cleartrip? One of the experiences to anticipate when traveling to India is riding a train. 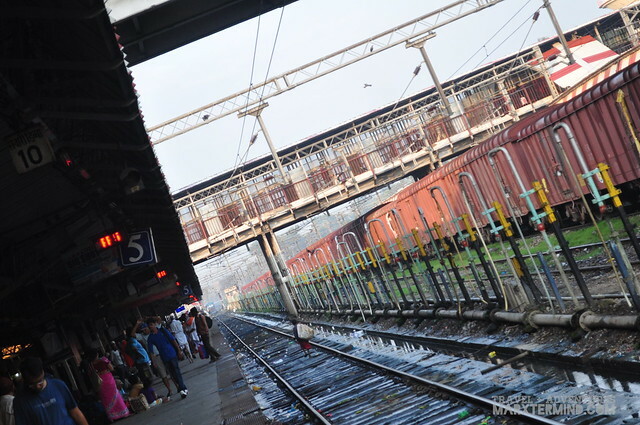 Train is the most used public transportation in India, it connects different parts of India from north, east, west and south making it accessible to travel across the different regions of the country. In fact, almost 70% of our transfers during our travel across the different states in India were through train. Booking a train in India can be easy with the help of local travel agencies but if you will be travelling by DIY (do-it-yourself) style, then you might want to consider setting up an account to book for train rides. 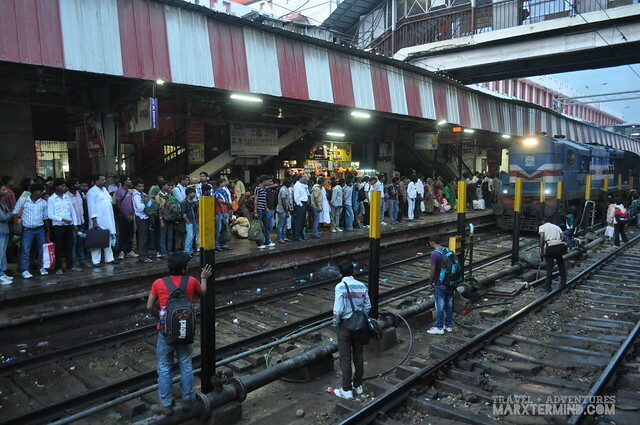 This post, will help you how to book train in India. Cleartrip, a booking website, now offers IRCTC Indian trains reservation; making it easy for foreign tourists to book train rides without the need of a local mobile number and local credit card perhaps. Follow the steps here and you’ll be able to set up an account in Cleartrip which is also synchronised with the IRCTC website. The registration procedure says that any dummy number can be placed in the mobile number field but in my case, I had placed my own mobile number and it was accepted during the registration process. 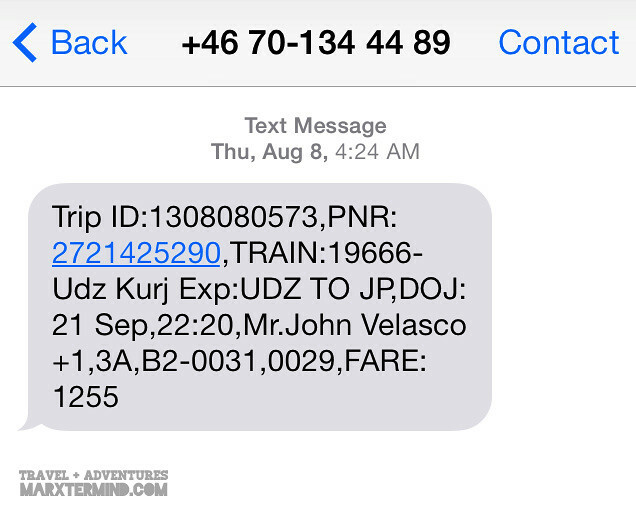 I was then able to receive mobile notifications regarding my train bookings. Once the booking is done, take note of the platform number and coach number of your train. Go to your designated platform once you arrive in the station. In minor train stations, trains only drop by and pick up passengers with a waiting time of 1 minute. Just in our case, when we were in Agra Idgah Railway Station for our journey to Varanasi. The train was delayed; we were waiting. We have no idea were will be our train will stop. After half an hour, a train arrived on the other side of the platform. A stranger (thank you) shouted to us that that was the train to our destination, so we hurriedly went to other side. We were running, just like in the movies. The train was already moving when we got in. Me and my travel buddy, Paula, had 3-tier AC sleeper coach in most of our train rides. When you want cheap yet comfortable ride, I must say the 3-tier AC sleeper coach is a suitable choice. They provide pillow and blanket to use during nighttime travel. 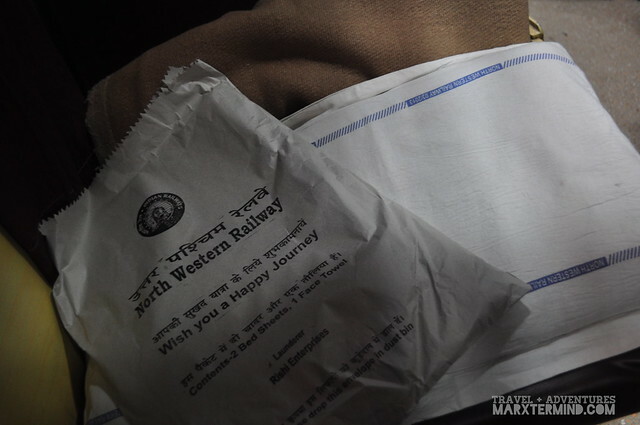 Our train rides in India is one of the memorable experiences that we had. There were not so good experiences but most were good that let us embrace the culture of this country even more. Paano ko naman malilimutan yun muntik nang literal akong malaglag kundi ako nakahawak ng 2 dalawang kamay! Remember the epic run in Agra Station? hahaha! I love traveling by train and medyo nakakastress nga pag napapanood ko sa travel dokyu yung trains ng idea, parang ang gulo! Buti may tao nagdirect sa inyo hindi kayo naiwan ng train 😐 Naiwan na ako before ng train sa Korea, so malamang baka maulit if mag India ako (wag naman sana though) Great tips, bookmarking!